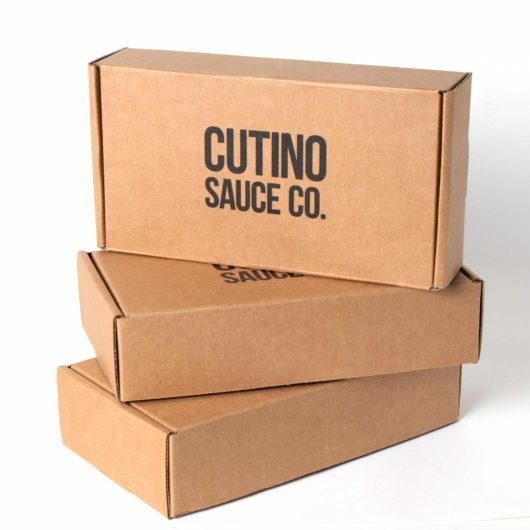 Ghost - Seasonal *Low Stock* - Cutino Sauce Co.
Free shipping with purchase of 4 bottles or more! 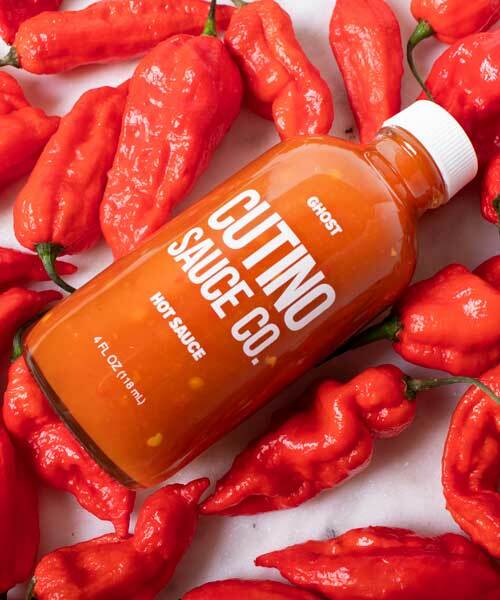 Once a year, when Ghost peppers are at peak season, we whip up a batch of our seasonal Ghost Sauce. 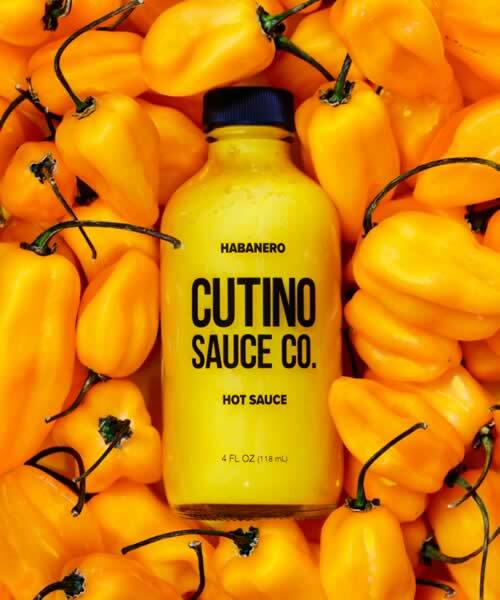 The floral fruity sweet heat of this delicious pepper is a perfect complement to our trusty Habanero blend. 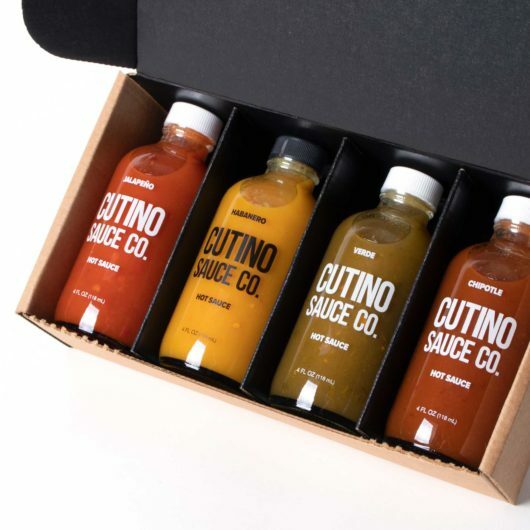 Packed with flavor, this sauce will keep your tastebuds warm all winter. Limited quantities available, so get it while you can! Great flavor. I mean really nice. Got some heat but not enough but the flavor is kinda crazy delicious. Love it – Jimmy Kimmel turned me on to your company! This is absolutely brilliant. A little sweet and nice heat. I could only wish it was available all year round. Buy multiple bottles if you can. 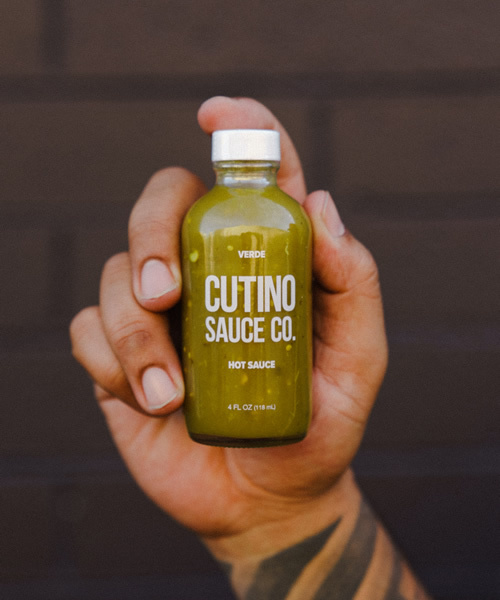 Great taste like all the other Cutino sauces. 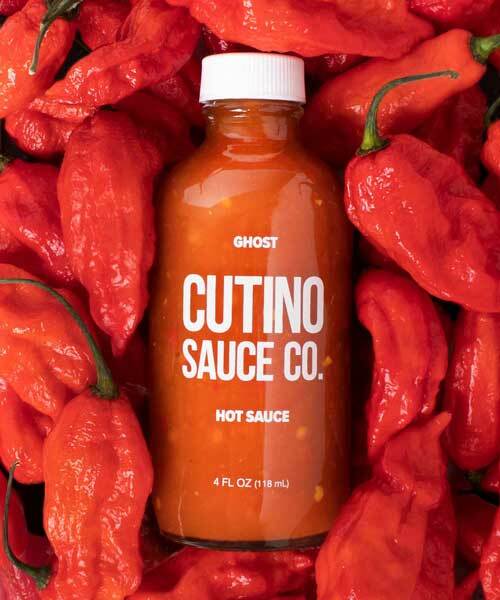 Not blazing hot like some other ghost pepper sauces, but this sauce has a great flavor. Already half way through a bottle I got last week. Ghost needs to be a regular product. It is so good! Please bring it back! Read about this sauce in Chile pepper magazine. I could not recommend it more highly. Can’t wait for the next batch! 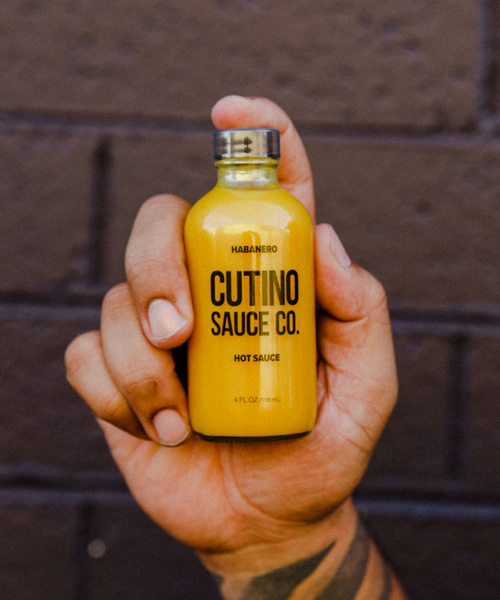 Read about this sauce in Chile pepper magazine. It is delicious and I couldn’t recommend it more. Can’t wait for the next batch! Amazing flavor. Was introduced to this company with the Ghost seasonal. 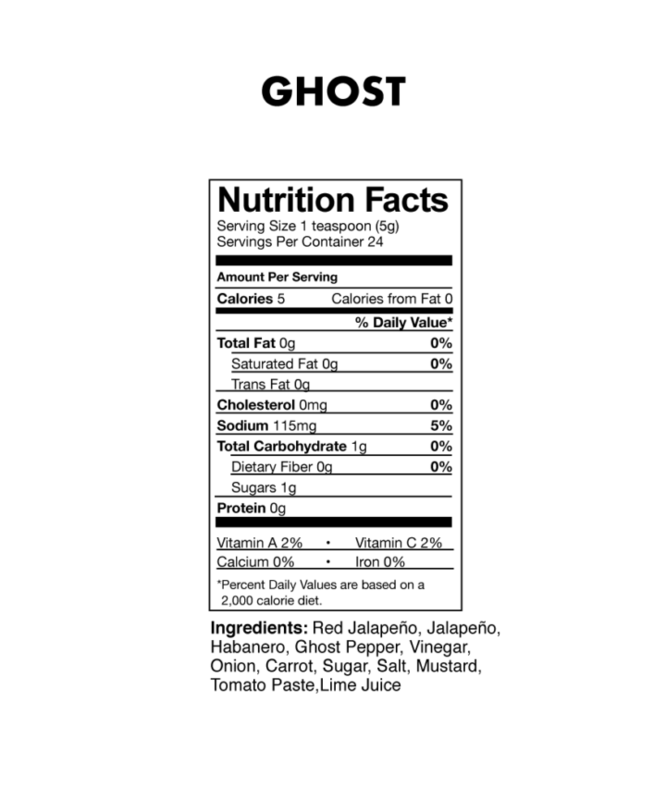 Will now try all the flavors and keep an eye out for the Ghost to return! 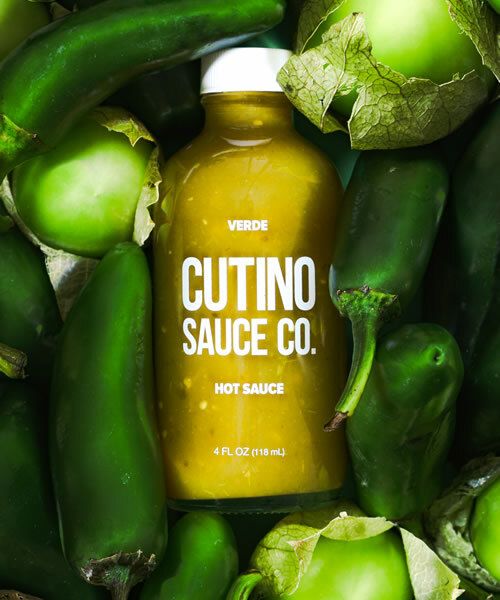 I love it when Cutino Sauce Co. releases a seasonal favorite. Ghost is fruity, earthy, electric sweetness! 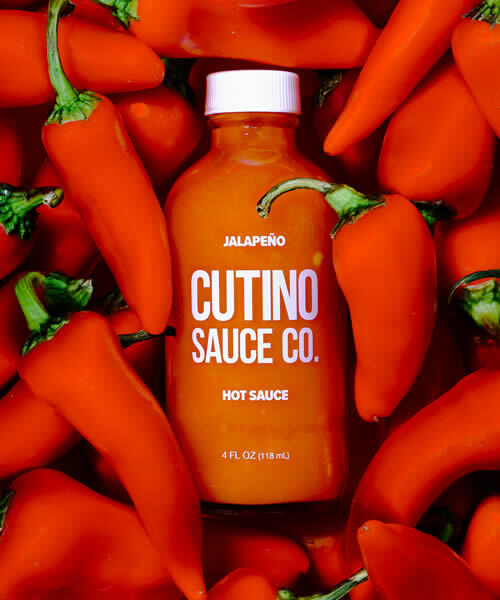 Red Jalapeño, Jalapeño, Habanero, Ghost Pepper, Vinegar, Onion, Carrot, Sugar, Salt, Mustard, Tomato Paste, Lime Juice.